Websites of people who breed rats. Please add to this thread if you are a rat breeder in the South East and London area. Regional map of area boundaries. My main aim is to extend average lifespan and, along with that, rats that are fit and well far into old age. I do not breed for rex or dumbo. For more details please see the website. London based rattery breeding away from end of life illnesses. Variety genes we can currently expect are agouti, black, chocolate, british blue, mink, PED, mismarked splodgy things and all combinations. My aim is to breed well tempered, happy, friendly and healthy British Blue, Mink and Black. I will be working on Variegated and Blazed Berkshires. All my rats will smooth coat and top-eared at this time, however I have plans to add dumbo in 2012. For details of planned litters, please see my website which is updated regularly. I visit family in Wrexham (North Wales) area quite regularly so can arrange for people to collect kittens from my families home if this is required. More than happy to discuss rats - just PM or email me. Breeding Black eyed and Golden Himalayan, black, ivory etc. Currently breeding marked rats, mainly berkshire and variegated, in agouti, topaz and cinnamon. Aiming to continue their lovely friendly temperaments aswell as improve health. Zappa Stud-Breeding for Siamese and Burmese friendly rats. 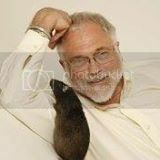 My aim is to breed good tempered, healthy rats in Russian Blue Point Siamese, Seal Point Siamese, Russian Blue and Black. There is a possibility of dumbo. Caledonian Rattery, Southampton. Breeding for Black Eyed Siamese, Russian Blue Point Siamese, Russian Blue and Black. Breeding agoutis, silver fawns, lilac agoutis, platinum agoutis, argente cremes, chins and squirrels. The last two only occasionally available. 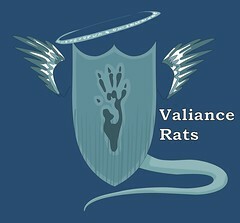 All rats are selected for health, temperament, type and colour. Breeding for healthy, happy Badger and Variegated rats in Russian Blue, Black and Agouti. I am focussing primarily on Russian Blue Burmese and a new line involving the new Marten Variety in agouti, self, Burmese and Russian variants. Health and temperament are a prime goal here, particularly while establishing this new line. We are based in Banbury and attend MRC and NFRS shows within a reasonable radius. Milliways Rattery in Southampton. Breeding for happy and healthy rats in Russian Blue and Seal Point Siamese (black and red eyed) with some black and russian blue. I attend most NFRS shows in the south & midlands area. Can also be found at the odd MRC shows. Milliways Rattery - Breeding for striped roan in agouti & black. Shatterlings Rats located in Hastings, breeding lively rats in Russian Blue and related varieties in dumbo and top ear. Shatterlings stud breeding for Russian blue and related varieties in top ear and dumbo. Location: Maidenhair Rattery, Rattingham Palace, Portsmouth. my name is Moxie and I have a small scale rattery in my home on the south coast of England by Portsmouth. I am a NFRS - National Fancy Rat Society registered breeder and identify all the rats bred by myself with the prefix Maidenhair. My main aim in creating Maidenhair Rattery is to dedicate my attention to discovering the truth behind the fascinating and unique variety that is the hairless rat. My rats at this time, are bred solely to be good family pets and not for show and definitely not for breeding outside of Maidenhair Rattery unless otherwise agreed beforehand. Therefore establishing the right temperament is the only thing as important to me as improving their health. I am currently developing my Aeronwen line of hairless rats. Which will predominantly produce rats of the Agouti variety in both smooth and hairless coats. Occasionally marked and occasionally dumbo with the possibility of other colours such as cinnamon, mink and black. As a general rule I only breed two litters at a time, twice a year, approximately in the spring and autumn. I have future plans to develop a second line of rats in most likely the badger variety. but this is not something i am working on at this moment. Maidenhair Rattery - Breeding for health & Longevity on the south coast with agouti & black, hairless & smooth, marked varieties. I have been an active breeder of show and pet rats for more than ten years. I current breed Ivory, Silvered Black, Mink and Chocolate in both smooth and rex coats. I am a registered NFRS Stud (2008-01) and am located in Banbury in north Oxfordshire. I have a large, bespoke rattery and am always delighted to have visitors, even if just to answer questions and discuss rat care and ownership. Tenebrae Stud - Doug Connor. Ten years breeding for Ivory, Silvered Black, Mink and Chocolate.